The Bible says he did. “While we were yet sinners, Christ died for us” Rom 5:8. “In due time Christ died for the ungodly” Rom 5:6. “Christ died for our sins according to the scriptures” 1Corinthians 15:3. Jesus himself said, “I am he that liveth and was dead” Revelation 1:18. And we know that he “did no sin, neither was guile (lies) found in his mouth” 1Peter 2:22. So, we can believe the words of Jesus and the word of God that Jesus Christ actually died for us. Why is this important? Well, amazingly there are some who do not believe this could have happened. Those of the Muslim faith are taught that someone else took Christ’s place on the cross, a substitute, a stand-in, a stunt double, that took the hit for him. Even the orthodox Trinity doctrine draws a line between which Son died on Calvary. Since Jesus is the Son of man, and Christ is the divine Son of God, and since divinity is inherently immortal and cannot die, this doctrine teaches that it was only the human Son of man that died while it was the divine Son of God that raised himself along with the crucified Son of man from the dead. The Bible also teaches “the soul that sinneth it shall die” Ezekiel 18:4. Because the Father “made him to be sin for us, who knew no sin” 2Cor 5:21, and because Jesus took the sins of the world upon himself and “bore our sins in his own body on the tree” 1Peter 2:24, his soul died in our place that we might live. But Satan, “a liar and the father of it” John 8:44, from the very beginning lied when he told Eve, “You shall not surely die” Genesis 3:4. Today, he still wants the world to believe that we don’t really die when we die, and he wants us to believe that Jesus didn’t really die on the cross. But the Father “spared not His own Son but delivered him up for us all” Romans 8:32. “Christ, the Son of the living God” Matt 16:16, “being in the form of God…equal with God” took upon himself the form of a servant, and was “made in the likeness of men. And he humbled himself, and became obedient unto death, even the death of the cross.” Phil 2:6-8. How was the Word, the divine Son of God, equal with God and in the form of God? As the Son of God, Christ inherited all the attributes of his Father, “the only true God” John 17:3. 1. Omnipotence, all-powerful. This is demonstrated in the creative power of “God who created all things through Jesus Christ” Ephesians 3:9. 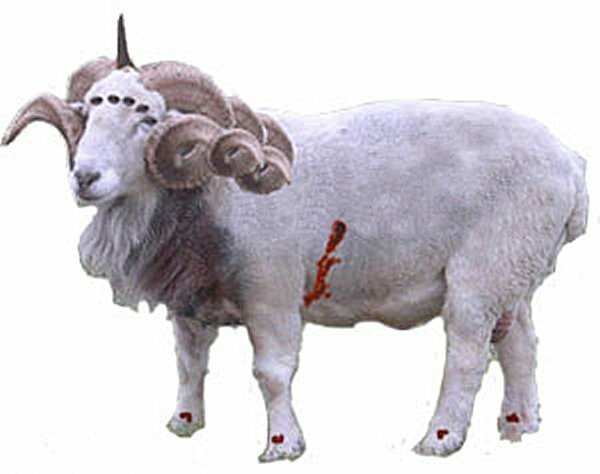 In Revelation 5:6 Jesus appears as the Lamb of God with seven horns, symbols of all power. “All power is given unto me in heaven and in earth,” he said in Matthew 28:18. 3. Omniscience, all-knowing, “declaring the end from the beginning, and from ancient times the things that are not yet done” Isaiah 46:10. He who sees all things knows all things. 4. Inherent Immortality, not subject to death. “eternal, immortal, invisible, the only wise God” 1Tim 1:17 “who only has immortality” 1Tim 6:16, the Father who has "life in Himself has given to the Son to have life in himself" John 5:26. With inherent immortality, how could Jesus have died on the cross? He “made himself of no reputation” Philippians 2:7, and was “made a little lower than the angels for the suffering of death” Hebrews 2:9. He “took part” of the same flesh and blood as we have “that through death he might destroy him that had the power of death” verse 14. The “Word became flesh” John 1:14 in order to die for our sins. But was this just the Son of man, just the human nature that died? Consider the special way that Phil 2:7 is worded in the original Greek: auton ekenosen, which is literally, “himself emptied out.” From the word, kenosis, “emptying” and ek- as in exit, “out.” And what did Christ empty out? He laid aside all the divine attributes except for his divine status and identity as the Son of God. 1. “The Son can do nothing of himself” John 5:19. “I can of mine own self do nothing” verse 30. “Jesus of Nazareth, a man approved of God among you by miracles and wonders and signs, which God did by him” Acts 2:22. When the Son of God became the Son of man, he emptied out his omnipotence. 2. “It is expedient that I go away: for if I go not away, the Comforter will not come” John 16:7. As the Son of man, Christ had emptied out his omnipresence. 3. “Jesus increased in wisdom” Luke 2:52. “Of that day and hour knoweth no man, no, not the angels which are in heaven, neither the Son, but the Father” Mark 13:32. Jesus emptied out his omniscience. 4. “And when Jesus had cried with a loud voice, he said, Father, into thy hands I commend my spirit: and having said thus, he gave up the ghost.” Luke 23:46. Jesus emptied out his immortality in order to pour out his soul unto death. The Son of God had received all things from His Father (John 3:35; Matt 11:27; Heb 1:2; 1Cor 15:24-27) and he could lay these aside because his Father could give them back again. Yet in his humanity he was still the divine Son of God in identity. The issue was not one of ability or power but authority which, Jesus says, comes from his Father. “Therefore does my Father love me, because I lay down my life, that I might take it again” John 10:17. The word “take” is translated from the Greek word labo [Strong’s #2983]. This root lab- is different from the next “take” in verse 18: “No man takes it from me, but I lay it down of myself.” Here the word “take” is from the Greek word airen [Strong’s #142]. What is the difference? Airo “I take” is a unilateral action, a removal without permission, without a corresponding transfer from another. He continues. “I have power to lay it down, and I have power to take it again. This commandment have I received of my Father.” Several important words in this verse are quite different from what they are usually understood to mean. 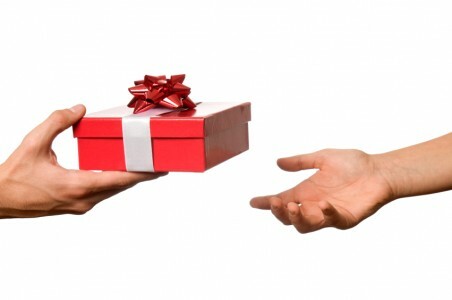 The “take” is once again from labo (actually, labein and elabon here) and is again Strongs #2983, a reciprocal action as something is transferred from a giver to a receiver. n In taking the bread, they received it. n Heaven gives and man receives. n Jesus gave them His Spirit and they received it. This is the kind of double-talk that the serpent dished up to Eve in the garden. “You shall not surely die” Gen 3:4. This is perfectly natural for one to believe who accepts the lie that the soul is an immortal disembodied spirit and the assumption that the Son is the second independent, self-existent person of God who didn’t receive anything from anyone else, and did not relinquish any of his powers while on earth. The Bible states repeatedly, however, that it was God the Father who raised His Son from the grave. Nearly two dozen scriptures refer to this truth. Only one statement by Jesus seems to contradict them. “Destroy this temple, and in three days I will raise it up” John 2:19. Jesus did, but only at the command of His Father. For Jesus himself said, “The Father has not left me alone, for I do only those things that please him” John 8:29. Jesus obeyed his Father in all things. He was obedient in death unto life (Ps 88:8). David was inspired to write not only Psalm 22, which was quoted by Jesus on the cross, “My God, my God, why have you forsaken me?” but also Psalm 88 which describes the experience of Christ in death. and I cannot come forth.” Psalm 88:6,8. But his Father had not forsaken him; the Son of God did come forth to the life that was his, restored to him again as he received it in the beginning. “As the Father has life in Himself, so has He given to the Son to have life in himself” John 5:26. The Father had given life to His Son when He brought him forth in the beginning, before “ever the earth was, before the mountains were raised” Proverbs 8:22. This was the first time. And when it was time to raise His Son from the dead, the Father gave life to His Son “again” “in that he has raise up Jesus again, as it is also written in the second psalm, Thou art my Son, this day have I begotten thee. And as concerning that he raised him up from the dead, now no more to return to corruption” Acts 13:33,34. For “God who quickeneth the dead, and calleth those things which be not as though they were” Rom 4:17 “was able to perform that which He promised” verse 21 and “raised up Jesus our Lord from the dead” verse 24.